We do your dirty work so you don't have to! Got a dirty job on your hands? Let Shomshor Shiner Janitorial LLC tackle those tough cleaning jobs you don’t want to handle. And yes, we do windows. At Shomshor Shiner Janitorial, we stay up on the latest trends, products and equipment to best serve our clients. We use environmentally-friendly cleaning products where we can. And our truck-mount carpet-cleaning machine gives the deepest clean possible. Shomshor Shiner Janitorial has been owned and operated by Rolla native Ron and his wife Janet since 1990. 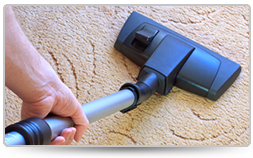 With a full crew of trained, hard-working team members, we can guarantee you’ll be satisfied with professional cleaning services by Shomshor Shiner Janitorial! Call 573-364-0589 today for a free estimate. We’ll take care of you!